In this tutorial,we will try to understand need for overriding equals method in Java. Let's start this topic with something very basic i.e. object.What is Object? Anything which has state and behavior can be treated as object in Object oriented language. For example every one of us has some state and behavior. Let us now create a test Class where we will create objects of SoftwareDeveloper class and compare them. In the TestClass,we are creating two objects of SoftwareDeveloper class and both of them has exactly same state(properties),but still they are two different individuals,so we can not say that they are one ans same. When we compare objects using == it compares if they are same objects in memory and not the values (states) in the object. As we can see here also,it is using == ,hence same result. If we do not override equals() method in our classes,the default implementation from Object class will be available to all the classes and if we will try to compare objects using equals(),it will compare using == and will consider two objects equal only when they are referring to same object in memory. Now one may ask,are above two approaches to compare objects is wrong? Answer is Yes as well as No. No,because it depends upon our requirements.if our requirements is such that we do not want to consider two different objects in memory as same even when they have same values,then there is nothing wrong with above approaches. Yes,because there might be requirements in the application in which above code is being used that if two SoftwareDevelopers have same experience ,then consider them as equal.For example for HR department,they may give same salary to two developers with same experience ,so for them two developers with same experience are equal,although still they are two different individuals(different objects in memory). Now one may ask,how we can make HR module of application understand that two different objects in memory are actually equal. Answer is: we need to override equals method such that two objects should be considered equal when the value of property(instance variables) totalExperience is same. Let us override equals() method in SoftwareDeveloper class,such that we consider two objects equal when they have same totalExperience. Here this refers to instance softwareDeveloper1 and obj refers to softwareDeveloper2 and we are comparing them with == .We are doing this first ,because if two objects are same objects in memory,obviously they are equal and there is no need to check for their values and equals method can return true in that case any ways. if we have reached inside equals method ,that means softwareDeveloper1 is definitely not null as we have invoked equals method on softwareDeveloper1 instance,but it is possible that softwareDeveloper2 will be null,in which they will not be == and hence equals should return false. getClass returns the runtime class of the object on which it is called.So here we are checking ,if softwareDeveloper1 and softwareDeveloper2 both belong to same class at runtime,if they are not belonging to same runtime class,obviously they are not equal,so equals return false. In above code,first we are checking whether totalExperience instance variable value of softwareDeveloper1 is null and of softwareDeveloper2 is not null.If this is the case then as totalExperience value is not equal,equals method will return false. Next we check,if softwareDeveloper1's totalExperience is not equal to softwareDeveloper2's totalExperience ,then also equals method returns false. And if we have crossed passed all above if,elses and equals method have not returned yet,that means totalExperience of softwareDeveloper1 and softwareDeveloper2 are equal. 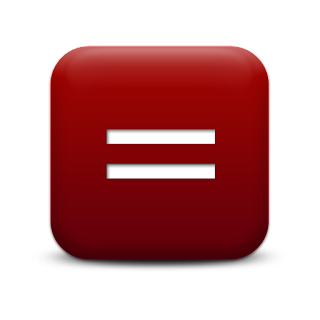 Depending upon our functional requirements,we would like to consider two different objects in memory as equal by overriding equals method where in we can check for equality of the property(ies) of two instances and can decide whether they should be considered equal or not. In the next tutorial we will see why we should override hashCode() method when we override equals().